There are a number of affordable "install-your-own" devices which can take the place of Aereo's recording/playback system. NEW YORK (TheStreet) -- The U.S. Supreme Court decision may have killed Aereo's idea of having someone else record and playback your over-the-air television shows. But all is not lost for those seeking to pay for only what they watch. You still have the ability to do so yourself without involving a third-party service. Think in terms of home recording devices like those made by TiVO (TIVO - Get Report). With monthly fees for home cable and satellite rising between 5 and 6 percent each year the idea of "cutting the cord" has recently been catching on - especially with young adults who choose to watch television programs on their computers, tablets and smartphones. Monthly cable costs can easily near $90-$100 or more depending on programming choices and packages. That's why online services such as Netflix (NFLX - Get Report), Hulu Plus are so popular. So is over-the-air (OTA) TV watching. In addition to beating high monthly fees, OTA local television broadcasters now offer multiple digital channels of program choices. Here in Manhattan there are literally hundreds of channels available on any television with a digital tuner and an indoor or outdoor antenna. The act of recording over-the-air TV shows and watching them whenever you like has been legal for the past 30 years. According to the 1984 decision in Sony Corp. of America v. Universal City Studios, Inc., (464 U.S. 417) consumers are allowed to make individual copies of complete TV shows for the purpose of "time shift" viewing purposes which doesn't infringe on copyright laws. Gartner V.P. Andrew Frank says yesterday's Aero decision could have an important side effect on the OTA recording industry. Frank told me people might begin buying their own antennas and recorders to free recordings of their own. He said it's only a "matter of time" before home DVR devices come down in price and become even more attractive to potential cord cutters. TiVO is currently the home recording solution leader. It offers a number of add-on boxes which allow you to record and time-shift over-the-air programming from TV, cable and Internet sources and adds the ability to stream those shows to your smart TVs, computers, tablets and smartphones. TiVO's current Roamio boxes cost $200 and up depending on how many shows you can record at the same time and how much storage is inside. TiVO is a subscription service. It also charges $15 each month and asks you to agree to a minimum one-year contract (subject to early termination fees). 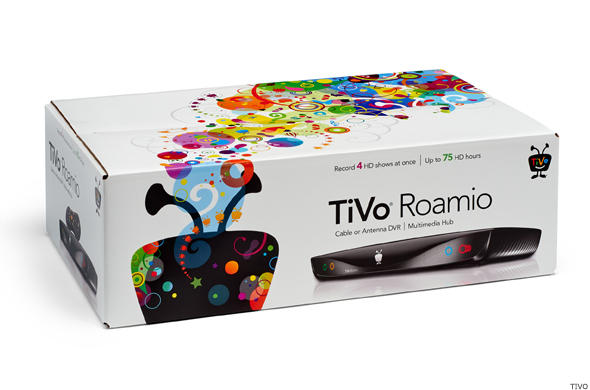 TiVO offers additional devices (with additional monthly fees) to extend the service into other areas of your home. In addition to TiVO there are other companies offering home recording solutions. One company is Phoenix, Arizona-based Channel Master has just announced a discount for current Aereo subscribers who will be looking for another method to get their OTA TV fix. The company has been making television antennas for more than 60 years. Channel Master is now offering an $80 discount for new purchasers of its TV Freedom antenna/DVR combination. Through July 6, current Aereo subscribers will receive an indoor/outdoor "SMARTenna", USB Wi-fi adapter and its slimline "DVR+" box for $269.99 when they present a copy of their June 2014 bill. The company charges no monthly fees to use its system. The Channel Master system offers additional plug-in hard drives with extra recording space and recommends the Slingbox 500 system for streaming stored videos to other devices. Sling Media,a division of EchoStar (SATS - Get Report) calls that "place shifting".